Dr. L.A. Torres Jr., M.D., F.A.C.P. Welcome to the practice of L.A. Torres Jr., M.D. Dr. Torres provides comprehensive internal medicine, blending the most researched aspects of natural and traditional medicine. By delivering comprehensive care, Dr. Torres and his team are able to save you time, money and hassle and the potential of receiving fragmented care from going to multiple providers. Dr. Torres will help you find the right solutions to meet your medical needs and overall goals for a healthier life. If you or a loved one is looking for treatment options for a current health issue or looking for wellness and preventative services, contact L.A. Torres Jr., M.D. today for an appointment. Click here to contact our office. 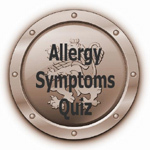 The following self-assessment quizzes can be used to identify certain symptoms that may be related to a treatable condition. 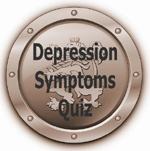 The results of these quizzes are not to be considered medical advice or diagnoses. The quiz results should serve as a communication tool to discuss your symptoms with Dr. Torres or other healthcare provider.